It's 1851, and love is starting to blossom in this faraway corner of Wyoming! This historical, inspirational Western romance and much-loved series is about empowered women who turn around their hopeless circumstances in this mid-18th-century tale of the old West, with strong faith, and discover authentic men and true love. Meet Summer Percy. She lost the only family she had, there's no work to be found for her in Pennsylvania, and her meager savings is almost finished. After her father died in a carriage accident, she finds herself traveling for three weeks by train to the tiny town of Laramie to marry the local US Marshal, which she has never met. She meets Mary, an older woman who was a successfully married mail order bride. She shares a secret that could change everything. Will Mr. Beauregard Kearny be all that he seems? Will he find it in his heart to forgive her when he finds out the whole truth she's been hiding? Can Summer rise above her misfortune and find true love and happiness? Will they survive what Mother Nature has in store for them? This story was narrated by Madeline Star, she did an amazing job telling the story. She made each scene come alive. 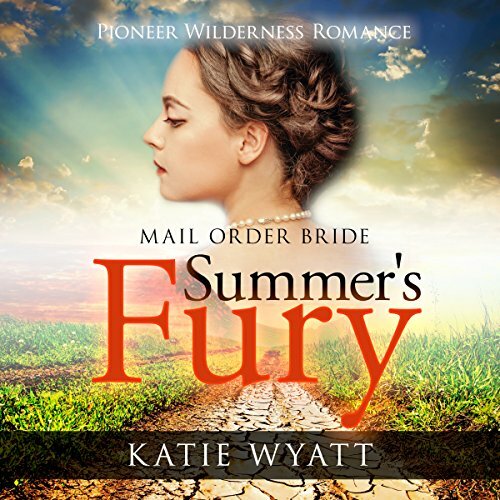 Summer was the Mail Order Bride for Beauregard, would they be sorry they married? What was Summer's secret? Why was she so afraid to tell Beauregard the truth? Would they survive the tornado that came up upon them so quickly? Why did Summer have to help him? I listened to the audio book and was so excited, it felt like I was right there observing everything from a front row seat! Please if you haven't already got the book, do so. It's well worth reading or listening to. It's a wonderful story of truth and love. This was a great story .I love mail order bride books. Summer travels to meet her Boreguard her soon to be husband. They are wed and on the way home they run into a tornado. He is badly injured and she has to get help .Every one needs to read this book.